I managed to carve out a wee bit of time to participate in the latest Color Throwdown Challenge #520. I coloured this Gerda Steiner Moody Unicorn with comic markers in warm greys and cream and gave it green hair. 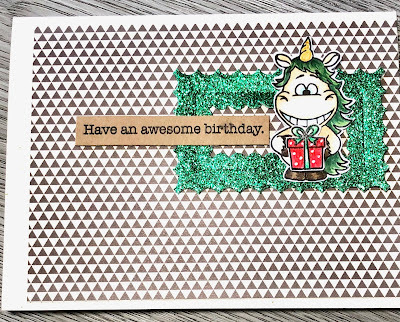 The hooves are colored with brown tones of copic markers and the brown and cream patterned paper backgrounders is adhered to a cream card base. 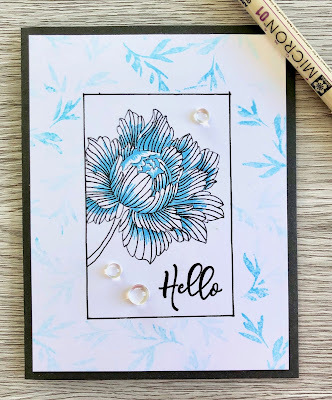 The sentiment is from the The Ton Wave stamp set and is stamped with black Memento Ink on Kraft card stock. 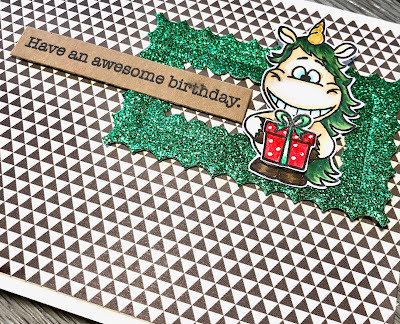 The green glitter frame is cut from the Lawn Fawn Reverse Stitched scalloped rectangle window die. 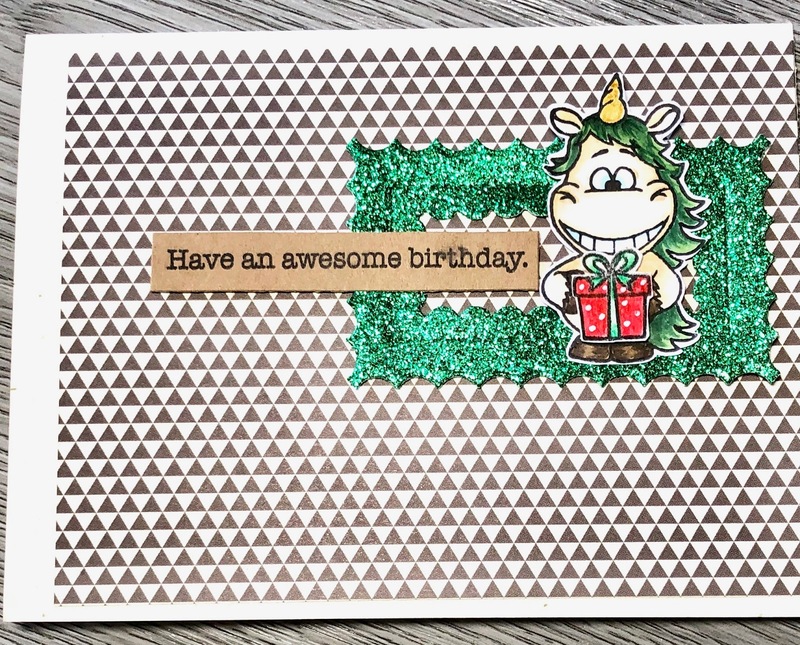 What a fun birthday card! 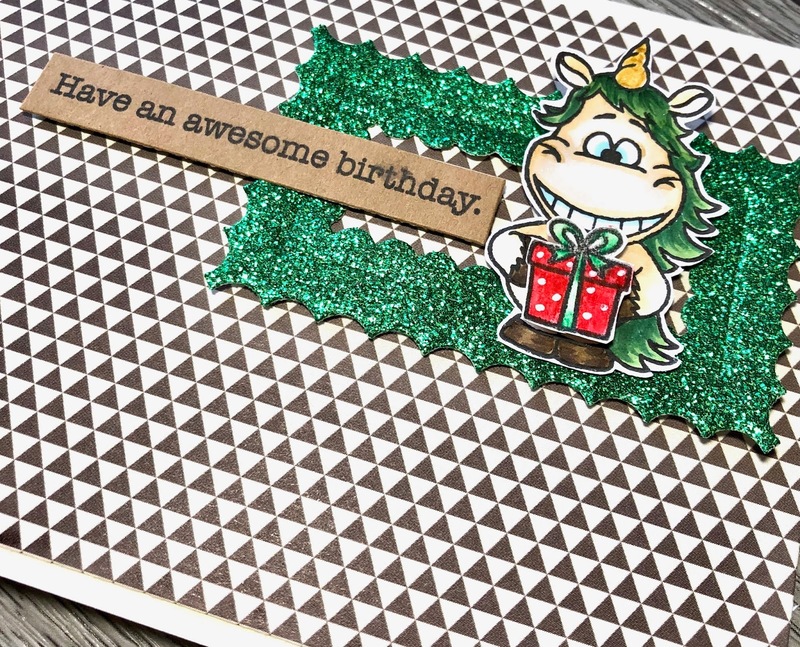 Love the added sparkle! Thanks so much for joining us at Color Throwdown!